One of the rare movie adaptations that follows the book almost entirely in capturing the beauty of the author’s message, The Fault in Our Stars (TFiOS) is really what A.O Scott calls an “expertly built machine for the production of tears”, with indubitable emotional power. Achieving the title of the most-liked trailer in YouTube history, TFiOS, the movie came across as severely over-hyped, with much of the charm coming from John Green’s idiosyncratic lines rather than the film itself. Hazel Grace Lancaster (Shailene Woodley), diagnosed with cancer at 13, somewhat miraculously coming back from the brink with experimental drug Phalanxifor, meets the intriguing Augustus Waters (Ansel Elgort) at cancer support group. In the classic story of the star-crossed lovers, cocky yet vulnerable Gus falls in love with Hazel and they go to Amsterdam to hunt down the elusive Peter Van Houten (William Dafoe) for the ending for An Imperial Affliction. All through the movie, Josh Boone never lets the audience forget that everything the pair does is constantly haunted by the shadow of death lurking close by. The book is as much about courage and love (familial or romantic) amidst navigating the complex roads of Cancerville as it is about the teenage fantasy of finding a boyfriend who is simultaneously alluring and completely non-threatening– but unfortunately places a disproportionate focus on the second. Despite the constant reminders of cancer through Hazel’s first-person narration, the numerous cheesy moments tend to become cloying for the less romantic of us. Moments of poignant pain in the book go largely undeveloped, in particular Hazel’s relationship with her parents of evident mutual care despite the occasional bicker, and where her mother has to deny her a deeply held wish they cannot afford. 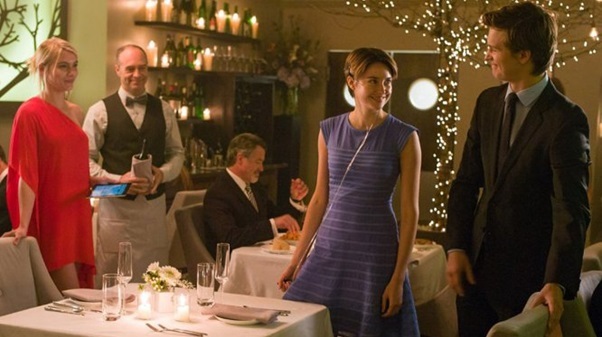 Despite romance being a key element, TFIOS attempts to, and succeeds at, exploring a variety of themes through the direct lifting of a number of Green’s lines into the script. Loaded with metaphors such as Gus’ unlit cigarette (“You put the killing thing between your lips, but you don’t give it the power to kill you) and Hazel being a grenade (“I’m a grenade and some day I’m going to blow up and I would like to minimise the casualties”), it is underlied by a sense of existential doubt with Hazel and Gus fundamentally disagreeing on how to be remembered, widely or deeply (“We’re as likely to hurt the universe as we are to help it, and we’re not likely to do either”). However, there is a distinct sense of disconnect between the scenes played out and the ideas touched upon, making it apparent that much of the draw of this aspect at least comes from not the film, but the book. Nevertheless, TFiOS makes a laudable effort to frame the struggle of cancer patients as both a real and difficult one, while avoiding the common movie pitfall of portraying the pair as tragic heroes or reducing them to their struggle. Perhaps this is helped by how healthy Woodley and Elgort evidently look, but there are also unsettling scenes where the realities of the battle hit the audience hard. 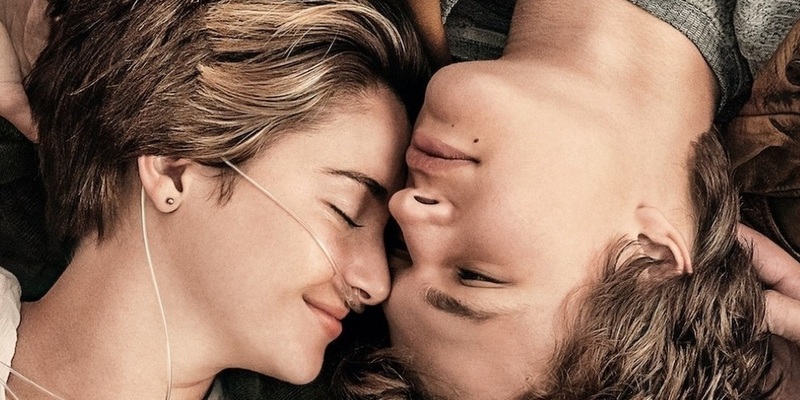 Like the novel, the film is unsentimental and brutal in its depiction of illness– When Gus calls Hazel in the middle of the night to help him at the gas station, the breeziness of the movie abruptly falls away and its medical realism sets in. Forcing moviegoers to watch Gus in his sickly state, in stark contrast to the vibrant boy we have come to know, definitely made many profoundly uncomfortable in their seats. As the majority of the audience are avid fans of the book, they would have expected the cast to portray the trio as they have read and pictured in their mind and we can safely say that Woodley, Elgort, Wolff and the rest of cast have fulfilled their expectations. The casting and characterisation adds to the appeal of TFiOS– Woodley’s slight physique and gawky charm, in addition to her portrayal of Hazel as an astute girl who nevertheless doubts herself even with her unique ideas, falling in love with an alluring boy makes the character easily relatable, despite the “unfortunate side effect of dying”. 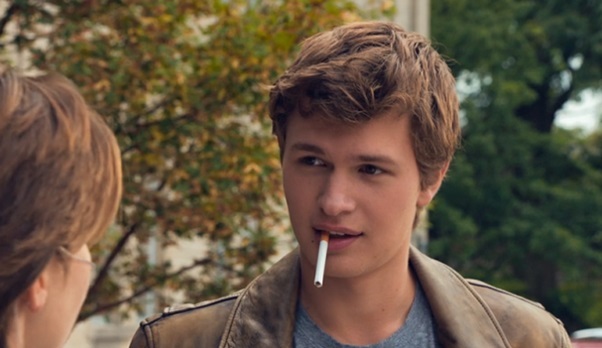 Elgort’s leather-clad-wannabe-biker Augustus comes across as a confident, charismatic young man, his deep vulnerability revealed through his tormented struggles. The soundtrack of (admittedly cheesy) love songs added depth to what could have been rather flat scenes, be it the pair’s dinner at Amsterdam or their kiss at the Anne Frank House. In addition, there were plenty of details that would be much appreciated by book fans– The Hectic Glow (Gus’ favourite band) poster in Hazel’s room for instance, a detail that was barely mentioned during the movie but which fans of the book would have picked up with an almost conspiratorial grin, or the exactness of Hazel’s dress the night of Oranjee. 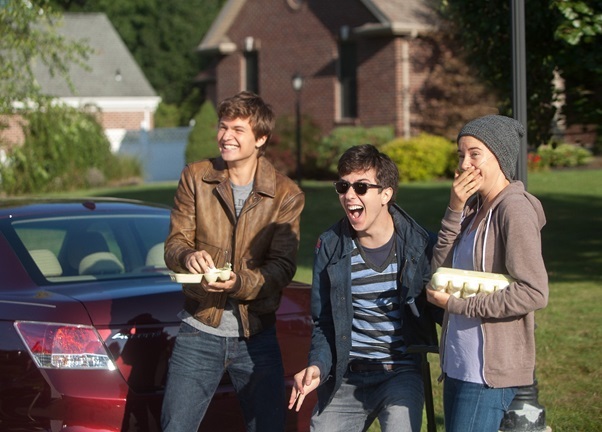 As a love story, TFiOS succeeds and even exceeds expectations. Yet their unconventional romance is not as hard-hitting as it could be– the potential of the plot remains largely untapped, the relationships other than their romance undeveloped, the themes unexplored. At the risk of piling too much into a single movie that is quintessentially a love story, Josh Boone chooses instead to adopt the safe route of focusing on the star-crossed lovers– a pity really, given the possibilities the book offers. A common gripe among book fans would be it leaving out certain themes, such as where Gus talks about how the marks we leave are often scars, or when he speaks of living a heroic life– accusations of “dumbing it down” are not entirely warranted, though long time book fans would do well to remember that the book and movie are, after all, intended for different audiences. Ultimately, TFiOS was a satisfactory movie– technically beautiful, with good cinematography and appropriate emotional intensity in most scenes. It does leave much improvement to be desired, and does not really manage to break the mold of the quintessential teenage love story despite its attempts. The movie works well as a book adaptation in crystallising the book’s plot for the more visual of us but does not surpass the book, perhaps because of its leaving out of some philosophical themes that made the book so compelling. At the end of the day, it may be less complex than it could have been, but is still a good movie that satisfies nerds and the typical moviegoer alike.